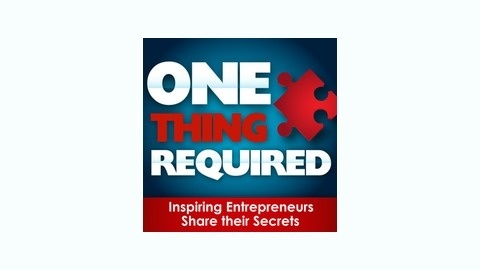 One Thing Required is a podcast about entrepreneurship, about how to find a great business idea and launch and grow a business. 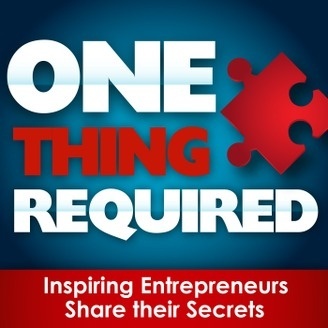 If you've always wanted your own business but weren't sure how to get started, listen to my interviews with successful entrepreneurs. They tell where they got their business idea, how they got started, where they got stuck and how they pushed through and achieved success. You'll see that anyone can be an entrepreneur, and so can you. One thing is required, though: You must take action! Matt Giovanisci spent his teenage years working in a pool store and learning all about swimming pool maintenance and care. He also rocked out in a band, made videos, and taught himself how to design and code websites. Then he got an idea: "Maybe I should create a website about pool care." Four years went by before a friend told him to get on with it already! Matt finally built that website, www.SwimUniversity.com, but it went through a few iterations before he figured out his formula for success. The formula was ultimately pretty simple: Provide quality content, and make it entertaining! Now this website earns him more than he was making full time in a corporate job at the pool company and he has spent NO TIME at all on the website so far in 2014...it is entirely passive income. He is now spending his time with a partner building a successful and highly entertaining website (www.ListenMoneyMatters.com) and daily podcast about personal finance.